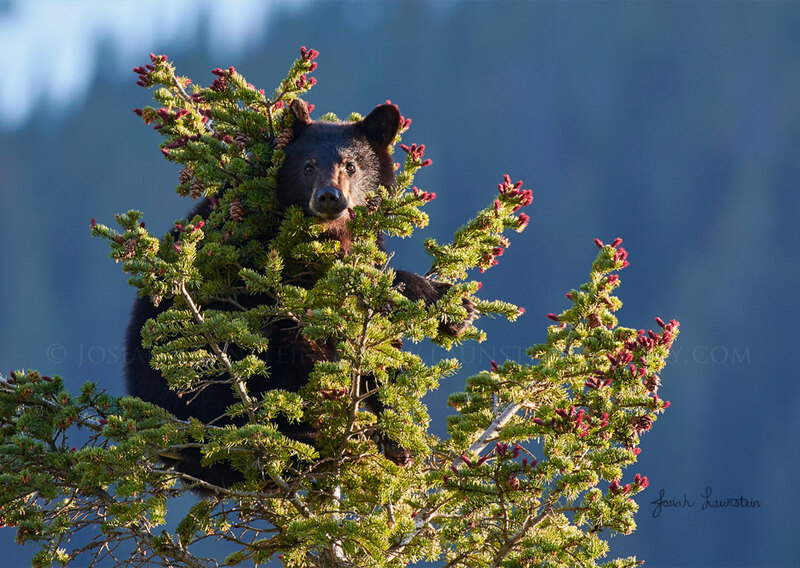 Surrounded by the red “candles” of new growth, this second-year Black Bear cub was hanging out at the very top of a spruce tree when Josiah and his father spotted him. It didn’t take long to discover why he was up there. The cub’s mom was vigorously fighting off a male bear at the base of the tree, and the youngster had safely perched as far away from the commotion as he could climb. A short while later, the threat had passed, and mom and cub were happily reunited.